The United States on Friday ordered all of its non-emergency personnel to leave Nicaragua and advised travelers to reconsider going to the country amid a wave of anti-government protests and violence. The State Department says heavily armed, government-controlled paramilitary forces operate in areas of the country including in its capital, Managua, where the U.S. Embassy is located. “These groups are attacking blockades, kidnapping and detaining individuals, taking over privately owned land, and committing other crimes,” says the travel advisory. The advisory also warned that roadblocks may limit food and fuel availability and that hospitals busy treating victims of violence can’t respond to other emergencies. 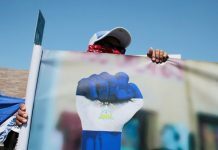 Protestors are demanding president Daniel Ortega and his wife and vice-president, Rosario Murillo, step down and early elections for March 2019. Ortega’s mandate ends in 2022. 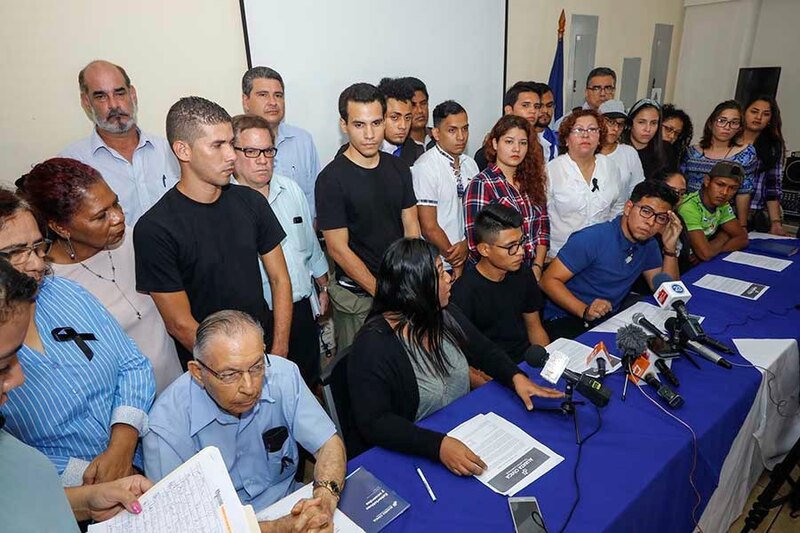 The Civic Alliance (Alianza Cívica), in opposition to the Ortega, has called for a countrywide march, called “Juntos Somos un Volcán” (Together We are a Volcano) for Thursday, July 12, followed by a 24-hour national strike on Friday, July 13. 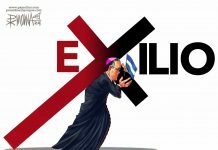 The march and national strike is to pressure Ortega to reply to the proposal of early elections made last month by the bishops of the Episcopal Conference, as a way out of to the sociopolitical crisis that has left more than 300 dead. After the 24-hour national strike, the Civic Alliance said it will continue to demonstrate on Saturday, July 14, with a caravan “whose route we will be announced in the coming days”. Initially, the opposition had planned protests for this weekend. Lesther Alemán, representative of the university students in the Civic Alliance and in the National Dialogue, indicated that they decided to reschedule the march for security reasons, for information that the government party is planning to organize demonstrations on Saturday, July 7, in different parts of Managua. Reconsider travel to Nicaragua due to crime, civil unrest, and limited healthcare availability. On July 6, 2018, the U.S. government ordered the departure of non-emergency U.S. government personnel. The U.S. Embassy remains open to provide emergency services for U.S. citizens. 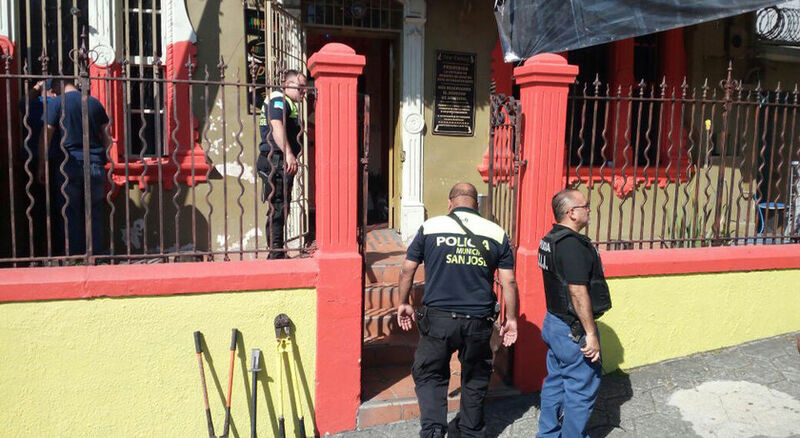 Heavily armed, government-controlled parapolice forces in civilian clothing, sometimes numbering in the hundreds, operate in large parts of the country, including Managua. They are often in vehicles that don’t have license plates, and they may be escorted by uniformed police forces. These groups are attacking blockades, kidnapping and detaining individuals, taking over privately owned land, and committing other crimes. Rallies and demonstrations are widespread and occur daily with little notice. Government-controlled forces have attacked peaceful demonstrators leading to significant numbers of deaths and injuries. Looting, vandalism, and acts of arson often occur during unrest, including in tourist areas. Government authorities detain protesters, and some people have disappeared. Human rights groups have documented credible claims of torture of detainees. 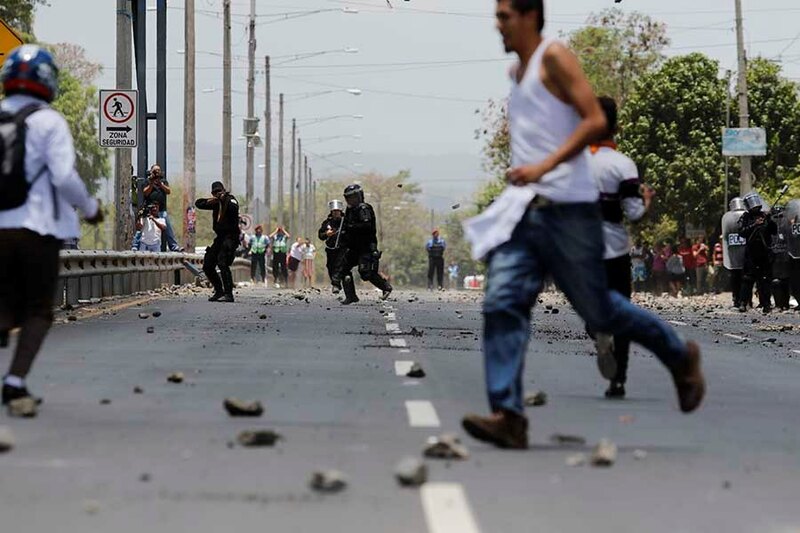 Roadblocks, including in Managua and other major cities, may limit the availability of food and fuel. Roadblocks may also limit access to the Augusto C. Sandino International airport in Managua. Criminals are in charge of some of the roadblocks. Hospitals around the country are inundated with victims of violence and lack the capacity to respond to other emergencies. Other hospitals have denied treatment to people wounded in protests. Violent crime, such as sexual assault and armed robbery, is common and has increased as security forces focus on the civil unrest. Police presence and emergency response are extremely limited. The U.S. Embassy in Managua is limited in the assistance it can provide. U.S. government personnel in Nicaragua must remain in their homes and avoid unnecessary travel between sundown and sunrise. In Managua, they must avoid Rotonda Metrocentro, Rotonda Universitaria, and the vicinity of universities, particularly UNAN. 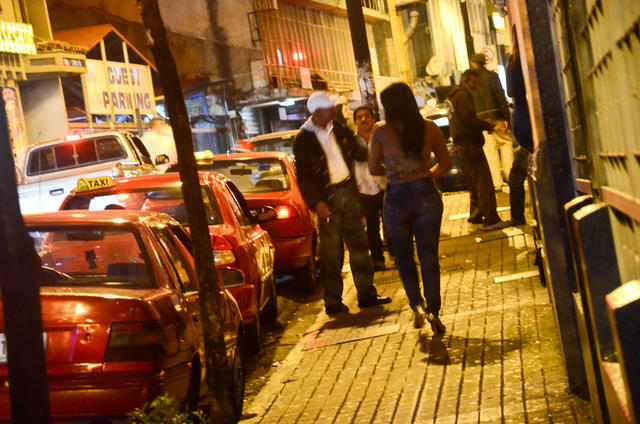 U.S. government personnel are prohibited from using public buses and mototaxis and from entering the Oriental Market in Managua and gentlemen’s clubs throughout the country due to crime. 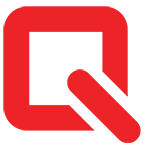 Additional restrictions on movements by U.S. government personnel may be put in place at any time, depending on local circumstances and security conditions, which can change suddenly. Consider arrangements to depart the country. There are no plans for a U.S. government-assisted evacuation. Avoid demonstrations. Foreigners, including U.S.-Nicaraguan dual nationals, may risk arrest or expulsion if they participate in protests. Do not attempt to drive through crowds, barricades, or roadblocks. Maintain adequate supplies of food, cash, potable water, and fuel if sheltering in place. Enroll in the Smart Traveler Enrollment Program(STEP) to receive Alerts and make it easier to locate you in an emergency.